In the cozy Willis Library our eyes are drawn to the copper hooded fireplace, and then gradually take in the Arts and Crafts rocking chairs, the glass fronted book cases, and various pieces of art that surround us. 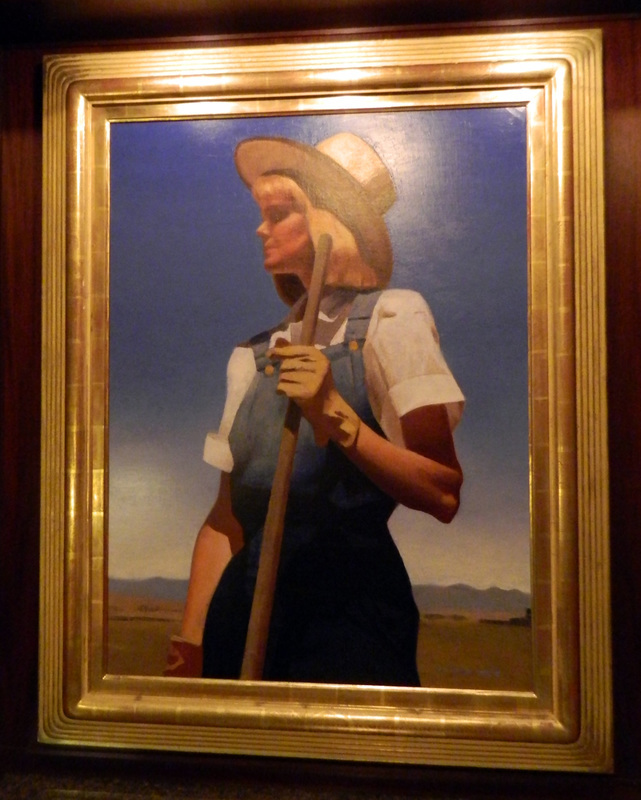 ​As we slowly look about, we see to the right on the north wall Autumn Harvest by artist Gary Ernest Smith. 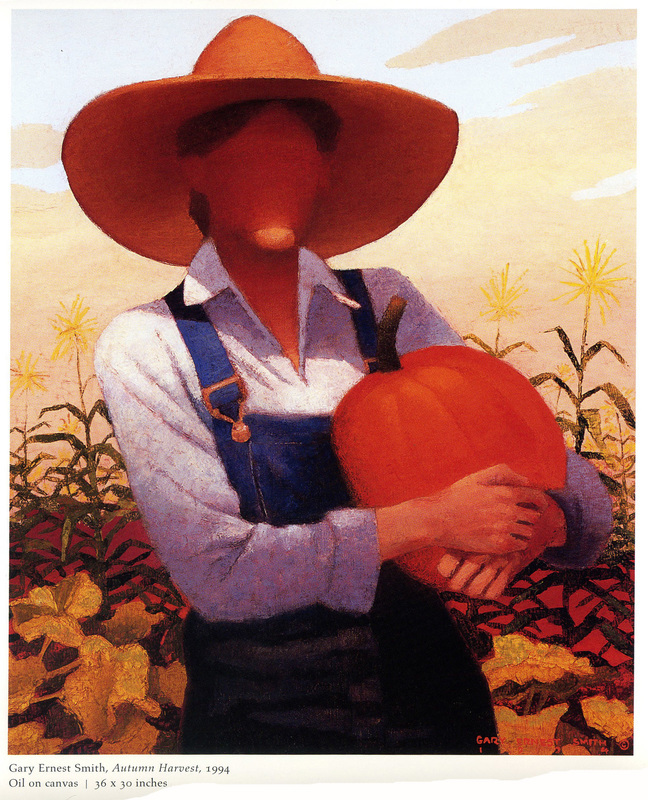 Our harvester’s face is vague, but the corn and pumpkin convey the message of a Midwestern autumn’s bounty. On the south wall we see Rural Working Woman, her gloved hand holding the handle of her tool of the day. In this piece by Gary Ernest Smith we can feel the vastness of the horizon.